Featuring a seasonal outdoor swimming pool and a terrace, Peñíscola Playa 6 APL offers accommodation in Peñíscola, 1.1 km from Peñiscola Castle and 14 km from Parque natural de la Serra d'Irta. This apartment offers a bar. The apartment is fitted with 3 bedrooms and a fully fitted kitchen with a microwave. Private parking is available at the apartment. A car rental service is available at this property. Castellon Airport is 46 km away. 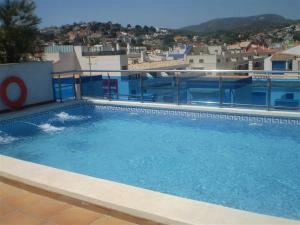 When would you like to stay at Peñíscola Playa 6 APL ? This apartment has a tile/marble floor, stovetop and dining area. Guests are required to show a photo identification and credit card upon check-in. Please note that all Special Requests are subject to availability and additional charges may apply. Please note that bed linen is included. Towels and cleaning products are not included. The swimming pools are open from June 15th to September 15th. Each day we'll check prices and send you an email for your selected dates at Peñíscola Playa 6 APL. If you don't have specific dates but would like to check prices for say next weekend or say next month we can check the price too. Click to write a review and share your experience of Peñíscola Playa 6 APL with other travellers.